How Do Triglycerides Work in Your Body? Triglycerides are a form of fat that the body uses for energy, and they also account for the vast majority of fat stored in the human body. Triglycerides are comprised of long chains of glycerol molecules, each of which is attached to three molecules of fatty acids (hence the name, “triglyceride”). Triglycerides are named according to the length of the glycerol chains they contain. Some of the names for specific triglycerides you may have heard include oleic acid and palmitic acid. The fatty acids are important because these are the fats that can be ”burned” as fuel for the body’s needs. Triglycerides are the mechanism for storing and transporting the fatty acids we need for fuel. Where Do Triglycerides Come From? We get our triglycerides from two sources: from manufacturing them ourselves, and from the food we eat. Triglycerides are synthesized in our liver and by our fat cells. For instance, when we eat excess carbohydrates, the excess carbs are converted to triglycerides. The liver then releases these triglycerides into the blood stream, in the form of VLDL (very low density lipoproteins), where it is delivered to fat cells for long-term storage. Most of the fat we eat - whether from animals or from plants —consists of various triglycerides. Our intestines cannot absorb the triglycerides themselves, so during the digestive process, the triglycerides in our food are broken down into glycerol and fatty acids, both of which can be absorbed by the cells that line our intestines. Within the intestinal cells, the triglycerides are reassembled and then released, into our blood stream—along with ingested cholesterol—in "packages" called chylomicrons. The body's tissues then remove the triglycerides from the circulating chylomicrons, either burning it for energy or storing it as fat. Generally after a meal, the density of chylomicrons in the bloodstream increases for several hours. This is the reason doctors always ask you to fast for 12 hours before having your blood drawn to measure serum lipid levels. Assessing your risk for cardiovascular disease is based on your "baseline" blood lipid levels—that is, your blood lipid levels at a time when circulating chylomicrons are not temporarily increasing your triglyceride and cholesterol counts. If you have been told you have high triglyceride levels, your doctor should be doing a full evaluation to find out why. 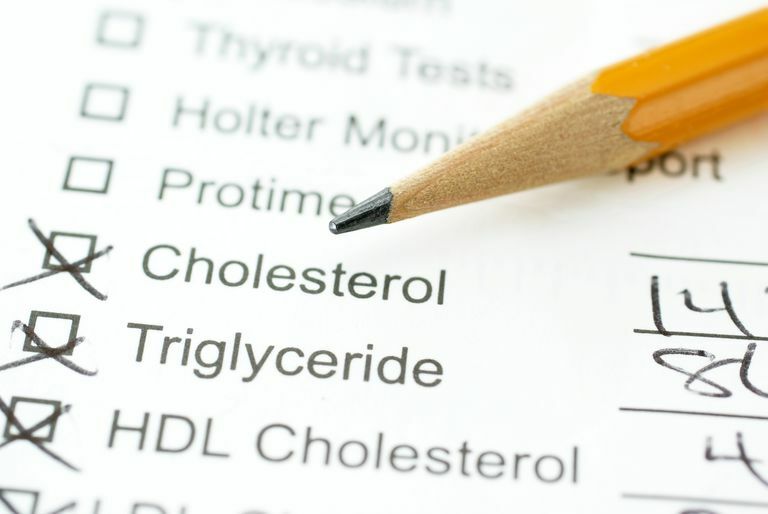 There are several potential (and usually treatable) causes for elevated triglycerides, including diabetes, metabolic syndrome, hypothyroidism, kidney disease, and several prescription medications. Elevated triglyceride levels are associated with an increased risk of cardiovascular disease, and very high triglyceride levels can produce pancreatitis (a painful and sometimes dangerous inflammation of the pancreas). Depending on the level to which your triglycerides are increased, your doctor may recommend placing you on therapy specifically aimed at bringing down those elevated levels. Triglyceride Coronary Disease Genetics Consortium and Emerging Risk Factors Collaboration, Sarwar N, Sandhu MS, et al. Triglyceride-mediated pathways and coronary disease: collaborative analysis of 101 studies. Lancet 2010; 375:1634.